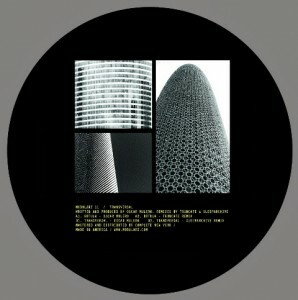 Oscar Mulero has landed on Developer’s Modularz imprint and the informed know what to expect. The four-tracker of straight techno tools starts in ruthless manner with “Rotula” by the Spanish producer himself, to proclaim a state of emergency on the floors with pounding kicks and metallic pads. Truncate keeps the tempo of the original while extra dubs are thrown to the game by Mulero in “Transversal”. For the end Sleeparchive’s version of the title track is positioned between his trademark minimalist loops and rougher percussive edge.